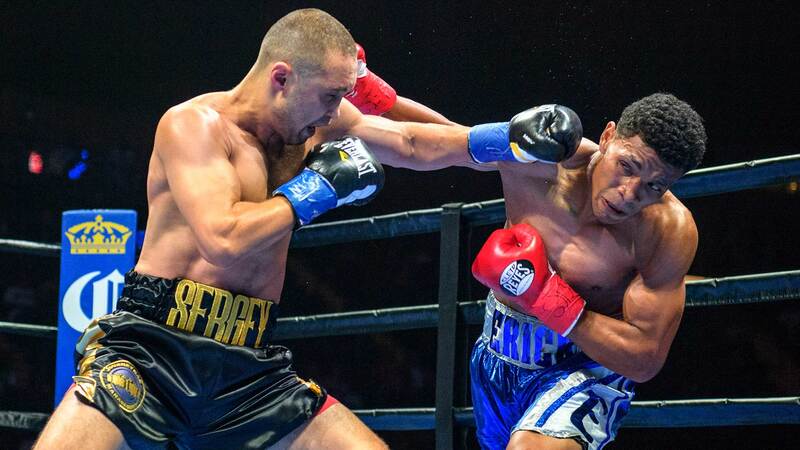 Erick Bone lost a majority decision to former 140-pound champion Sergey Lipinets. Former middleweight champ Peter Quillin defeats top contender J'Leon Love and former super lightweight titleholder Sergey Lipinets is victorious in his welterweight debut. Eddie Ramirez entered his second career main event looking to accomplish two things: remain undefeated and treat the fans to another action-packed performance. He ended up nailing one of those goals—but thankfully for Ramirez, it was the most important one. Undefeated prospect Eddie Ramirez has taken no easy outs in his climb toward a potential world title shot, but battle-tested Erick Bone plans on bringing his unblemished ascent to a halt.